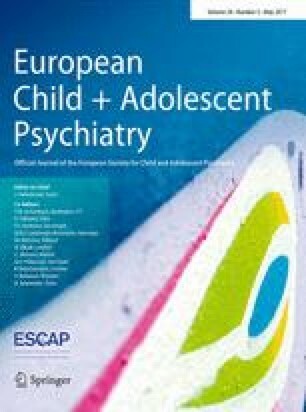 Replicated evidence indicates that perinatal complications are associated with increased markers of oxidative stress and with mental health problems in children. However, there are fewer reports on the impact of perinatal complications in later phases of development. We aimed to investigate the estimated effects of perinatal complications on levels of lipid peroxidation and on psychopathology in children and adolescents. The study is part of the High Risk Cohort Study for Psychiatric Disorders; the population was composed by 554 students, 6–14 years of age. Serum levels of malondialdehyde, a product of lipid peroxidation, were measured by the TBARS method. A household interview with parents and caregivers was conducted and included inquiries about perinatal history, the Child Behavior Checklist (CBCL), and parent’s evaluation, using the Mini International Psychiatric Interview (MINI). We created a cumulative risk index, conceptualized as each individual’s cumulative exposure to perinatal complications. Results indicate that perinatal complications were associated with higher levels of TBARS. After adjusting for age, gender, socio-economic status, CBCL total problems score, parental psychopathology, and childhood maltreatment, children exposed to 3 or more perinatal complications had an 26.9% (95% CI 9.9%, 46.6%) increase in TBARS levels, relative to the unexposed group. Exploratory mediation analysis indicated that TBARS levels partially mediated the association between perinatal complications and externalizing problems. In conclusion, an adverse intrauterine and/or early life environment, as proxied by the cumulative exposure to perinatal complications, was independently associated with higher levels of lipid peroxidation in children and adolescents. This work was supported by the following Brazilian government agencies: The National Council for Scientific and Technological Development (CNPq), the Coordenação de Aperfeiçoamento de Pessoal de Nível Superior (CAPES), and the São Paulo Research Foundation (FAPESP). The funders had no role in the design and conduct of the study; collection, management, analysis, and interpretation of the data; preparation, review, or approval of the manuscript; and decision to submit the manuscript for publication. Dr. Mansur has received support from FAPESP, Brazil, and fellowship funding from Lundbeck, Canada. Dr. Pan has received payment for development of educational material for Janssen-Cilag and AstraZeneca and has received meeting payment expenses from Eli Lilly and Co. Dr. Salum is supported by a CAPES/FAPERGS post-doctoral scholarship. Dr. Gadelha has received support from CNPq, Brazil, and has served on the speakers’ bureau and the advisory board for Janssen-Cilag. Dr. Kauer-Sant’Anna has received research grants from CNPq–INCT–TM, CNPq Universal, CAPES, SMRI, NARSAD, Astra–Zeneca, Eli Lilly and FIPE–HCPA. Dr. Bressan has received honoraria and/or consultation fees from AstraZeneca, Janssen-Cilag, Ache, and Lundbeck ,and has received research funding from Janssen-Cilag, Lundbeck, Novartis, and Roche. He has been a shareholder of Biomolecular Technology Ltd. He is affiliated with the Schizophrenia Program at Federal University of São Paulo, which has received unrestricted educational and research support from the following pharmaceutical companies in the last three years: Janssen-Cilag, Novartis, and Lundbeck. Dr. Brietzke has received support from CNPq, FAPESP, and CAPES, Brazil, as well as and from L’Oeal/UNESCO/Brazilian Academy of Sciences For Women in Science Fellowship and has served as an advisor of Janssen-Cilag. Dr. Grassi-Oliveira, Dr. Cunha, Dr. Asevedo, Dr. Zugman, Dr. Rios, Dr. Rizzo, Dr. Manfro, Dr. Belangero, Dr. Stertz, Dr. Levandowski, and Dr. Mari report no biomedical financial interests and potential conflicts of interests. Written informed consent was provided by all parents of participants, and verbal assent was obtained from all children. The study was approved by the Ethics Committee of the University of São Paulo (IORG0004884) and was performed in accordance with the ethical standards laid down in the 1964 Declaration of Helsinki and its later amendments. All families were invited for an appointment with a trained psychologist and social worker, in case they were interested in receiving the results of the study evaluation. All children identified as being under the need of care were referred for clinical evaluation. Situations involving serious risk of physical or psychological harm received special attention in accordance to competent authorities’ guidelines.